We move on to the next title in our line of Nintendo Post-E3 previews, and here’s another unexpected release. Mario Tennis: Ultra Smash is due to be released for the Wii U towards the end of this year. What did the Nintendo Scene tennis team think of Camelot Software’s next entry in the Mario Tennis series? One thing I will have to say with this one is that my opinions with this one will be a little biased as I do not enjoy, and never have enjoyed, the Mario sports games. I don’t understand why they need to exist and who it is exactly that even purchases them. So, with that, here’s another Mario Tennis game, promptly added to the list of games that no one wanted from the Nintendo Digital Event. However, despite my apprehensions with the game, I did give it a try. What I got from my troubles was merely okay. It’s tennis, with the usual Nintendo bells and whistles. So we have heroes and villains from the Mushroom Kingdom volleying balls across the court, trying to score points, and using ridiculous power-ups to gain advantages. My biggest issue, playing the demo, came from this last point. 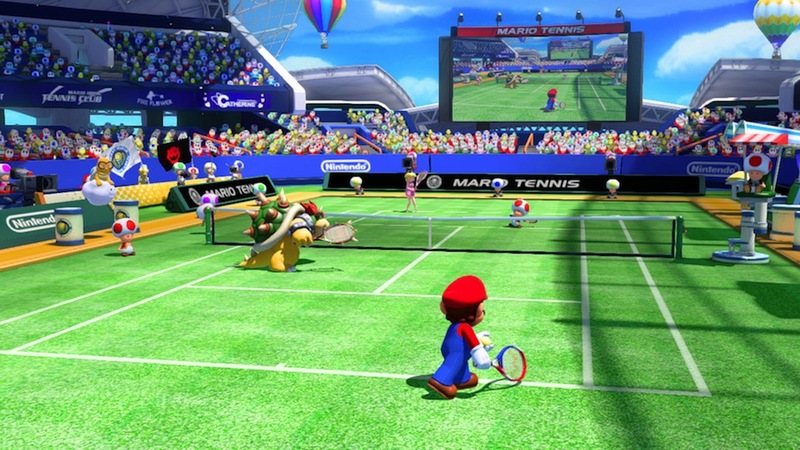 It is all well and good having the Mega Mushroom in Mario Tennis, but it becomes an issue when the characters become so big that they block the player’s view of the court, restricting the view of the most important part of the game (the ball). This being said, the game itself is beautiful to look at with some fantastic character models and textures. However, I can’t ignore that this game is not a system-shifting one; in fact I would go as far as to say that this game will work against helping with the Wii U’s already slightly shaky image. 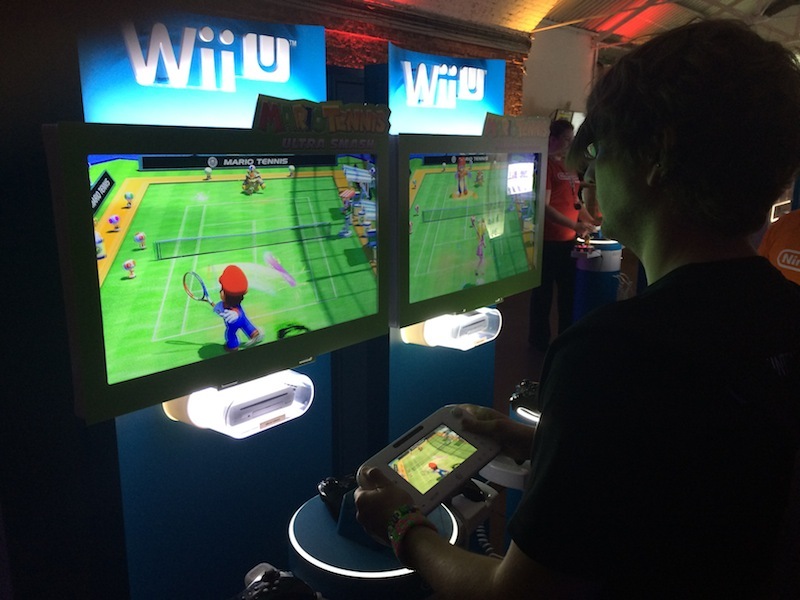 While fun to play, Mario Tennis: Ultra Smash didn’t stand out to me in any noticeable way. The demo had thin functionality with four characters that the player couldn’t select for themselves, one court, and one power-up in the Super Mushroom. Picking up the Super Mushroom will turn a character huge, making them stronger and giving them a wider area to hit the ball. The Toads must have a large storage of the item somewhere because they were dishing out those Super Mushrooms like nobody’s business. It was quite irritating to see a mini-cutscene every time a player picked one up too, as it interrupted the flow of the rally. Presumably this is so that the Super Mushroom user won’t be required to hit the ball mid-transformation, but I’d rather there be a way around that obstacle than being taken out of the gameplay. That aside, it was a fun game to pick up and play, and the controls were fine. Well-timed shots were rewarded with more power and accuracy, and when two or three players were supersized it got amusingly frantic. The ball harbours some strange mechanics too; it would occasionally bounce much higher than what should be possible as I prepared my shot, but this is presumably so that I can set up my shot properly (never mind that it breaks the laws of physics, for it is a Mario sports title). For now, there’s not much else to say. The game certainly looked nice and played smoothly, and I’m hoping to hear more about it soon. Without wishing to sound too negative, I have to say I do wonder why this game exists. A surprising, yet disappointing announcement, revealed for the first time as part of this years E3 Digital Event; Mario Tennis: Ultra Smash sees the series first foray into HD and onto Wii U. But I do wonder why Camelot have spent the time making this one? We all know Wii U is struggling, so I wonder who the target audience is for this game. I don’t believe Nintendo fans, owners of the Wii U, will be itching to play and own this game. And I certainly can’t see it encouraging more people to buy the console to play it. Sure, the Mario sports series of games haven proven to be popular in the past, but it feels like too little too late. Much like my experience with Mario Tennis Open on 3DS, my time with this felt unpredictable, random, repetitive and uninspiring. The multiplayer element was fun, yes the character models look do absolutely fantastic in 1080p, and the mega mushroom mechanic was interesting, yet a hinderance to the gameplay. On collecting this item the animation of growing broke up the flow of the match and made hitting the ball pure guess work as the character was SO big on the court, connecting with the ball felt random and harder to achieve. I’m hoping that a range of modes, potential amiibo integration and online play options may increase my interest in the title. I’ll be on the lookout for more information in the future, but for now I’ll mark this off as an unwanted spin-off title. Mario Tennis has always been an annual staple with my circle of ol’ University chums. Without fail come our traditional fake Christmas – ‘Fakemas’ – the Nintendo 64 controllers are untangled as the evening draws to a close. Fakemas the tenth I’m sure will be no different regardless of how many other attendees it accidentally alienates! So what am I blathering about then? Well in other words I believe everyone will find (or has already found) their Mario Tennis and it may well be this Wii U iteration. In all honesty you really only need the one. One will do, yes only the one will do. If this is your first there is no disappointment to be had here with the lusher HD visuals and the easy-to-learn button layout. 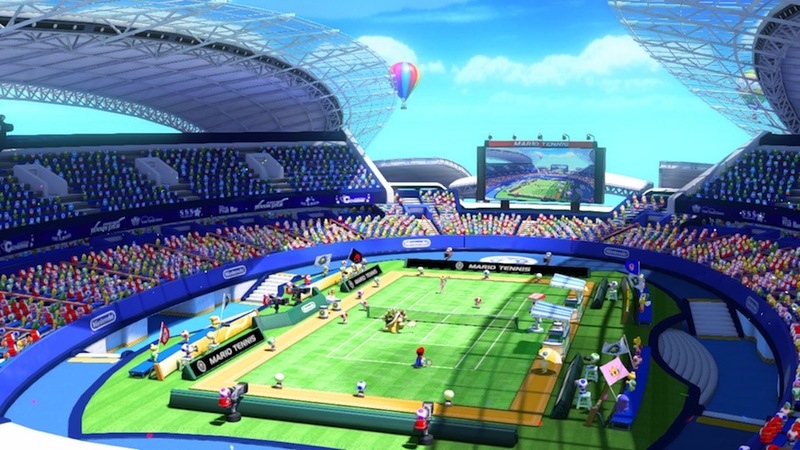 It’s tennis, arcadey tennis wrapped in a Mushroom Kingdom bow. However I must say the jarring growing animation for every time you run into an on court mega mushroom requires some ironing to soften the unneeded gameplay interruptions! HD visuals and the easy-to-learn button layout,its a Mushroom Kingdom bow.